The power to govern is distributed between Spain's central government, the 17 autonomous regions and the two autonomous cities in the north of Africa. However, with regard to employment legislation, Article 149.7 of the Spanish Constitution of 1978 gives exclusive power to the central government, including the power to issue all laws and regulations. In this sense, basic regulations regarding employment relationships and disputes are common to the whole of Spain. The main sources of employment regulations are the Spanish Constitution itself, which contains certain basic provisions, laws passed by parliament, and different types of decrees and orders issued by the government or government bodies. However, certain employment matters are regulated by collective agreements entered into between companies (or associations of companies) and employee representatives or trade unions. Spanish law provides that these agreements, which must meet certain requirements regarding content and the representative authority of the negotiating parties, bind all employers and employees – including those not directly represented by the negotiators – within certain economic areas. Thus, these collective bargaining agreements are mandatory for all employers and employees within those geographical and economic areas. In addition, certain international provisions regarding employment matters are applicable in Spain. International treaties and conventions are ranked higher than national regulations when the two come into conflict. The main international provisions applicable in Spain regarding employment matters are those issued by the European Union (most of which are Directives) and the International Labour Organization (ILO) (Spain has ratified a significant number of ILO conventions). Finally, employment regulation is also affected by the European Convention of Human Rights, including the rulings of the European Court of Human Rights. Employees are not strongly unionised in Spain, although, as has been mentioned, the representative power granted to the main trade unions allows them to enter into collective bargaining agreements with employers' associations, and these are mandatory for all employers and employees within a particular geographical and economic area. In addition, Spain's employment law and labour courts are oriented to protect employees' rights. The legislation has been made to protect what is considered to be the 'weak part' of an employment relationship, limiting the freedom of employers and employees to establish the terms and conditions of the bilateral relationship within the contract. In general, employment conflicts are understood to be disputes that may exist between the employer and one or more employees, and that relate to any matter arising from the employment relationship. These conflicts may be resolved by the labour courts. However, it is also possible to reach an out-of-court settlement with or without the intervention of an administrative or judicial body. One obvious method of resolving an employment dispute is through a private agreement between the employer and the employee or employees affected. However, if no agreement is reached, in general, Spanish law requires a claim to be filed with a conciliation service as a prerequisite to initiating a court action. These conciliation services are usually administrative bodies within the administrative structure of each autonomous region. The administrative body will summon the parties to conciliation and will try to get them to come to an agreement. If no agreement is reached, the claimant is entitled to file a claim with the competent labour court. Exemptions apply in specific proceedings that involve especially urgent matters (e.g., proceedings on annual leave or collective claims challenging collective redundancy procedures), when the claimant is entitled to file the claim directly with the competent labour court. Additionally, the most prominent trade unions and employers' associations within certain geographical areas have established conciliation and arbitration bodies that can be used for certain claims – these are usually class or group actions. However, in certain cases, these bodies have extended their services to include individual actions. Spanish law allows the use of this kind of private body, giving the same effects to claims registered with them as to those registered with the public conciliation bodies of the autonomous regions. Labour courts are formed by only one judge, whose jurisdiction covers a province, or a smaller territory when necessary because of the distance between the capital city of the province and that geographical area, or for demographic reasons. There can be one or more labour courts within the same territory or province. If there are several labour courts within the same territory, each will be assigned disputes, according to certain distribution rules agreed by the judges. These labour courts are the first instance courts for all individual disputes and collective claims whose impact is limited to the geographical territory assigned to the labour court. The labour chambers of the High Courts of Justice include at least one president and two magistrates. If the labour chamber consists of more than three magistrates, the chamber will be divided into sections of three members. Certain autonomous regions, for geographical or historical reasons, have decided to divide their territory and have set up more than one labour chamber for this purpose (Andalusia, Castile and León, and the Canary Islands). Labour chambers decide collective claims whose impact is limited to the geographical territory assigned to that labour chamber and the 'appeals for reconsideration' of certain disputes resolved by the labour courts within their jurisdiction. The labour chambers of the High Court of Justice of Andalusia are also competent to hear disputes that take place in the two Spanish cities in north Africa. The labour chamber of the National Court is also a collegiate court, consisting of a president and two magistrates. It is located in Madrid and has jurisdiction over the nation as a whole. This chamber decides collective claims whose impact extends beyond the territory of one autonomous region. The labour chamber of the Supreme Court is the highest court in Spain, with powers throughout the Spanish territory. The Supreme Court is the court of second instance for those claims judged at first instance by the labour chambers of the High Courts of Justice or the National Court, and under very limited circumstances it will hear individual claims if the judgment of the relevant labour chamber of the High Court of Justice contradicts that of another High Court of Justice, the European Court of Justice (ECJ), the Constitutional Court or the Supreme Court itself in a similar case. The Constitutional Court is not a jurisdictional court but is the final instance court in disputes regarding breaches of fundamental rights. the action is primarily aimed at obtaining a benefit for the group considered as a whole and not for the employees individually. A group action may be initiated either by an employer (or company association) or by employee representatives. The court that is competent to hear the group action will depend on the territorial scope of the conflict. Briefly, for conflicts of a local scope, competence will lie with the labour courts, for those with regional scope, it will lie with the High Courts of Justice, and for those with national scope, the National Court will be competent. Spanish procedural employment law establishes different proceedings depending on the subject matter of the claim being made by the employee (and, theoretically, by the employer). Thus, there are two main types of proceedings: ordinary, for claims concerned with individual rights or breaches of contract, including all kinds of salary items, overtime, inter alia; and a set of different proceedings with certain peculiarities that distinguish them from ordinary proceedings, one of which is the urgent treatment given by the labour court to speed up a claim. Of these special proceedings, the most relevant and most common are those relating to infringements by an employer of employees' fundamental rights (including gender discrimination), annual leave, termination of employment relationships, appropriate professional category, substantial modification of working conditions and geographical mobility. 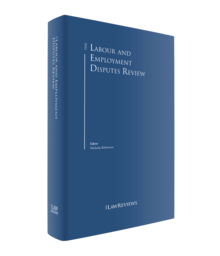 This chapter provides an update on case law since last year's publication on severance compensation in the event of termination, particularly regarding temporary employment contracts, and briefly analyses developments in case law on platform economy, working time and the effects of transfers of undertakings on employment. We also look at changes to regulations on employees' fundamental rights (privacy and data protection, and the balance between these and an employer's right to supervise its employees' activity) arising from the new law on the protection of personal data and guarantee of digital rights (see Section IV). Claims regarding infringements of employees' fundamental rights are usually linked to termination-of-contract situations but can also take the form of damages claims. Employment regulation provides different severance calculation rules (avoiding damages) depending on the type of termination: objective dismissal (20 days' salary per year of employment with a maximum limit of 12 months' salary), unfair termination (between 33 and 45 days' salary per year of employment with a maximum limit of 42 months' or 24 months' salary, depending on the length of service), or termination of certain temporary employment contracts (12 days' salary per year of employment). However, if the termination infringes the employee's fundamental rights, the dismissal will be declared void (which entails the reinstatement of the employee and provision of back pay accrued during the proceedings) and the affected employee will be entitled to claim damages. As mentioned above, there are also special proceedings for collective or class actions. These must (1) refer to the application or interpretation of a legal or conventional provision or practice by an employer, (2) affect a homogeneous group of employees, and (3) have the aim of obtaining a benefit for that group. In recent months there have been no significant legislative changes to employment law or procedural law. However, the new law on data protection contains provisions on employment rights, namely Law 3/2018 on the protection of personal data and guarantee of digital rights (LDP), which was published in the Official Gazette on 6 December 2018 and entered into force on the day after its publication. This law has resulted in the amendment of two articles within the Statute of Workers. The LDP incorporates new digital rights into the Spanish legal system, including specific rights that are closely related to employment law; in particular, specific regulations on the right to privacy in the use of digital devices that the employer puts at the employee's disposal, and on video surveillance and geo-localisation in the workplace are worth highlighting. These rights create some limitations and obligations for employers, such as informing employees about access to the information available via the digital devices supplied by the employer to its employees and on the use of video surveillance systems and geo-localisation for the purposes of controlling employees. The law now requires that an employer provides comprehensive information about (1) the permitted and prohibited uses of any company-owned devices provided by the company for the performance of the task entrusted to its employees (PC, telephone, email account, etc. ), (2) the possibility of carrying out investigations or monitoring the use of that equipment, and (3) the purpose of any document held, search, review or monitoring in general. The 'digital disconnection right' is also relevant, as it aims to guarantee time for workers and civil servants to take breaks, leave and holidays; this has been included in a new article in the Statute of Workers. As a result of these new rights, employers will have to implement policies with employee representatives to provide comprehensive information as described above and the applicable terms to exercise the rights according to the new applicable regulation. Regarding developments in case law, although case law has a limited impact on employment regulation in Spain, the most significant areas of development are those in which there is no relevant employment regulation (so must be covered by case law) or those that derive from ECJ rulings. There have been developments in case law in the following main areas in recent months: (1) amendment of prior rulings on severance compensation for temporary employment contracts; (2) transfer of undertakings; (3) platform and gig economies; and (4) working time. One of the main developments in case law arises from the modification of the ECJ doctrine with regard to the first ruling in De Diego Porras, dated 14 September 2016 (Case C-596/14), which was discussed in last year's edition. As we highlighted then, the ECJ held in its ruling that the Spanish legislation that allows no severance compensation to be paid in the event of the termination of certain fixed-term contracts is discriminatory and contrary to EU Directives, as permanent employees are entitled to severance compensation equivalent to 20 days' salary per year of employment (with a maximum limit of 12 months' salary) if their employment contracts are terminated for objective reasons. This EU ruling led to an increase in the amount of severance compensation awarded in the event of the termination of temporary employment contracts by applying the severance compensation provided by law in the event of objective dismissal. As we explained in last year's edition, some regional High Courts of Justice and the Spanish Supreme Court sent new questions regarding the De Diego Porras ruling to the ECJ because the general opinion of Spanish legal scholars, or at least of a significant number of them, was that the De Diego Porras ruling was a consequence of a misunderstanding of the Spanish legislation regarding severance compensation for temporary contracts. The new ECJ ruling in De Diego Porras, dated 21 November 2018 (Case C-619/17), has confirmed the validity of the Spanish regulation when allowing no severance compensation to be paid in the event of the termination of a substitution contract when the substituted employee returns to work. Another relevant area of case law development is that of the transfer of undertakings. New case law in this area stems from the ECJ ruling in Somoza Hermo, dated 11 July 2018 (Case C-60/2017), which responds to some preliminary questions raised by the High Court of Justice of Galicia when deciding on whether a new and a former contractor are jointly and severally liable for obligations arising from the employment contracts prior to the date on which a service was awarded to the new contractor. Mr Somoza worked as a security guard for a company that was awarded the contract to provide security services in a public museum. This service was then awarded to another company, which took over the employment contracts of the previous company in accordance with the applicable collective bargaining agreement. Indeed, the collective agreement for security firms specifically deals with the succession in time of two companies providing a private security service and establishes that the new contractor is required in any event to take over the contracts of employees assigned to that service, provided that they have a real minimum length of service of seven months immediately prior to the date on which the service is taken over. The ECJ stated that Article 1 of Directive 2001/232 applies to situations when most of the staff whom the former undertaking had assigned to perform its services are taken on by the new undertaking pursuant to a collective agreement, provided that the operation is accompanied by the transfer of an economic entity between the two undertakings concerned. In contrast, the ECJ understands that it has no jurisdiction to answer the question of whether transferors and transferees are to be jointly and severally liable for obligations arising from the employment contracts prior to the date on which the undertaking is transferred. In this regard, the ECJ points out that Article 3(1) of Directive 2001/23 states that Member States may provide that, after the date of transfer, the transferor and the transferee are to be jointly and severally liable in respect of those obligations. Article 44 of the Statute of Workers provides for this liability for three years in relation to outstanding obligations arising from employment contracts that arose before the transfer. This ruling affects cases in which a new contractor does not take over the employment contract voluntarily but in accordance with the applicable collective bargaining agreement. Before the ruling, Spanish case law considered that, in such cases, subrogation is effected in accordance with the applicable collective agreement and, consequently, joint and several liability does not apply (unless expressly provided for in the collective agreement) given that the new contractor could have assigned its own staff to the services concerned but is, however, required by that collective agreement to take on the employees assigned to those services. In particular, the Spanish Supreme Court considered that ECJ case law laid down in Temco (Case C-51/00) (applicability of Directive 2001/23 when there is a transfer of employees in sectors where the activity is essentially labour-based) did not preclude that conclusion given that the subrogation imposed by the collective agreement for security firms does not arise from a situation that falls within the scope of Directive 2001/23 or of Article 44 of the Statute of Workers. Therefore, the rules in the collective agreement, governing a different situation, were considered an improvement of the situation by applying the transfer of employment effect laid down in the statutory provision for its own scope of application but without providing the joint and several liability effect of the statutory provision. However, the Somoza Hermo ruling prompted the Supreme Court to amend its doctrine. In its ruling dated 27 September 2018, the Court established that in sectors where the activity is essentially labour-based, a transfer of undertakings exists when there is a transfer of a significant number of employees and all the effects of the statutory provisions apply (including the joint and several liability effect), regardless of whether the new contractor takes on employees previously assigned to the service voluntarily or by virtue of the applicable collective agreement. This new doctrine has already been applied in subsequent rulings by the Supreme Court (dated 24 and 25 October 2018) and by some high courts of justice (such as that of the High Court of Justice of Asturias dated 25 July 2018). The Supreme Court has also stated that when an activity is not essentially labour-based, this doctrine does not apply (ruling of the Supreme Court dated 20 October 2018). Another relevant ruling regarding the transfer of undertakings is the ECJ judgment dated 7 August 2018. In its ruling, the ECJ considered that Directive 2001/23 applied to a situation in which (1) the contractor of a local school was provided all the means for the activity, (2) it ceased providing the activity two months before the end of the current academic year, and dismissed the staff and returned the materials to the public authority, (3) the public authority launched a new tender procedure, and (4) five months after the activity ceased to be provided (including school holidays), the new contractor received from the public authority the means to provide the activity and started rendering the services without hiring any of the employees who were previously assigned to the original contract. There have also been developments in Spanish case law regarding the platform economy and the gig economy. There have been several judgments regarding the nature of the relationship between the collaborator and the relevant company. For instance, in its ruling of 16 November 2017, the Supreme Court considered that an employment relationship existed between a translator and the company that mediated with the clients receiving the translation services. The translator did not have a timetable and did not receive any instructions, guidelines, means or supervision from the mediating company. No training was provided to the translator on the standards to be met and he was allowed to reject assignments or even, occasionally, entrust the translation to someone else at his discretion. However, the Supreme Court held that an employment relationship existed based on the fact that the services were provided when the translator was required and on the date, time and place required by the company. In addition, the translator received a fixed remuneration for the activity and, if an assignment was rejected, the translator bore the risk of not receiving any more work. Similarly, a labour judge in Valencia held that a delivery man working for a renowned platform could not be considered a self-employed worker because his services shared the characteristics of subordination and dependency that are typical of an employment relationship (judgment of Labour Court 6 of Valencia, dated 1 June 2018). Conversely, a labour judge in Madrid considered that a delivery man working for a different platform was an economically dependent self-employed worker because any signs of subordination and dependency were not sufficiently strong (judgment of Labour Court 39 of Madrid, dated 3 September 2018). Although these are all first instance judgments, they show that an analysis of each case is required to determine the nature of the collaboration. In addition, it should be borne in mind that the collaborator being considered as an employee gives rise to obligations for the company, including social security obligations, which significantly increase the costs for the company. There have also been case law developments regarding working time and leave. In this regard, a judgment of the High Court of Justice of Madrid, dated 25 July 2018, is worth highlighting. This judgment limited the application of a previous ECJ ruling, dated 21 February 2018, in Ville de Nivelles v. Rudy Matzak, in which the ECJ considered that the standby time that a worker spends at home, but with the obligation to respond to calls from his or her employer within eight minutes, very significantly restricts the possibility of carrying out other activities, and must be regarded as working time. The High Court of Madrid analysed a slightly different case in which a collective bargaining agreement established a standby time during which employees are available and are obliged to go to work with all their equipment within 30 minutes if so requested. The High Court justifies its different approach in this case by stating that the Ville de Nivelles v. Rudy Matzak case is different because the employees could spend the standby time anywhere and the response time was 30 minutes. Therefore, the Court considered that the standby time does not significantly restrict the possibility of carrying out other activities in this case, thus, this period is not considered working time. Similarly, the National Court ruled on 20 September 2018 that the mere standby time that an employee can spend anywhere with no obligation to respect a specific response period should not be considered working time. There have been two main judgments regarding paid leave. The National Court ruling dated 26 July 2018 held that for a worker to be entitled to paid leave for the hospitalisation of a family member (a right granted by the Statute of Workers), the family member must at least spend the night in hospital. The National Court clarifies that 'hospitalisation' should be construed as implying an overnight stay. Another important ruling on paid leave is the Supreme Court judgment of 13 February 2018, which states that paid leave must start on the first working day following the day on which the triggering event takes place. 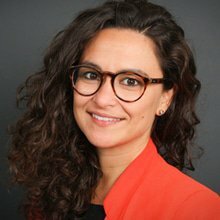 This ruling has had a significant impact on work planning because the general rule was that paid leave should be linked to the triggering event and that when the paid leave is established in terms of calendar days, the existence of a bank holiday normally does not postpone the paid leave. This is why this statement has been controversial among scholars and has given rise to a large number of claims. When resolving these, the National Court has applied the Supreme Court doctrine to some extent (rulings on 13, 20, 26 and 28 June 2018, among others) highlighting that a different approach may be taken when dealing with long periods of leave established in terms of calendar days in the Statute of Workers or the applicable collective agreement (e.g., marriage leave). In fact, when applying the Supreme Court doctrine, the National Court has raised a preliminary question to the ECJ, which has yet to be resolved. With regard to imminent developments in the next 12 months, the Spanish government is likely to try to repeal some aspects of the labour reform implemented in 2012. As was mentioned in last year's review, there are certain areas of employment law, particularly the subcontracting of services and the employer's obligation to control employees' working time, that left-wing parties are seeking to modify, in an attempt to take advantage of the parliamentary minority of the right-wing party currently in government. This intention is currently more apparent and the government has already made public its aim to implement changes in 2019 regarding, inter alia, the rules regarding collective bargaining and the subcontracting of services. Measures are likely to be implemented to restore the preferential application of sector specific collective bargaining agreements (over company collective agreements) as was the case prior to the labour reform of 2012. In addition, the government is aiming to combat work instability and, to this end, it is keen to (1) regulate outsourcing and subcontracting with a view to promote equal salaries in the contracting and the contractor company, (2) promote gender salary equality, (3) fight fraud in temporary hires, and (4) enforce the obligation of the employer to control working time to avoid overtime not being paid to its workers and being concealed from the authorities. In addition, in the coming months we expect to see further developments in Spanish case law regarding the implementation of the new data protection regulation. Once the new regulation has come into force, it will be vital that companies take the necessary measures and implement new IT policies to comply with the requirements imposed on employers in relation to controlling employees' activity, particularly when the company intends to use electronic systems to monitor or have access to the content of employees' communications. Following this path of protecting employees' fundamental rights, we will see how the labour courts react when companies do not fully comply with the new regulations and this is likely to result in an increase in the level of protection for employees, particularly when a company tries to dismiss an employee based on evidence obtained without complying with the new requirements on control and monitoring. 1 Isabel Rodríguez León is a senior associate at Uría Menéndez Abogados, SLP. This chapter is an update of the content written for the first edition by Jesús David García Sánchez, who was then a senior associate at Uría Menéndez Abogados, SLP. 2 Council Directive 2001/23/EC of 12 March 2001 on the approximation of the laws of the Member States relating to the safeguarding of employees' rights in the event of transfers of undertakings, businesses or parts of undertakings or businesses.